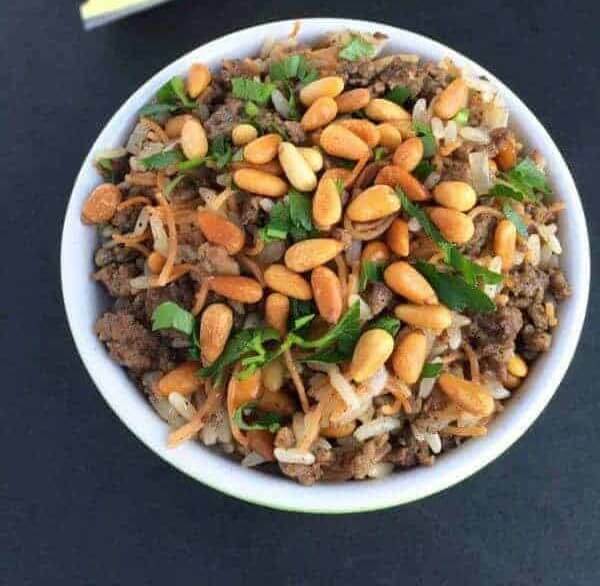 A staple in Middle Eastern cuisine, hashweh (or hushwee) is a humble, flavor-packed dish made of ground meat cooked in clarified butter then seasoned with cinnamon and toasted pine nuts. It is naturally gluten free and paleo. 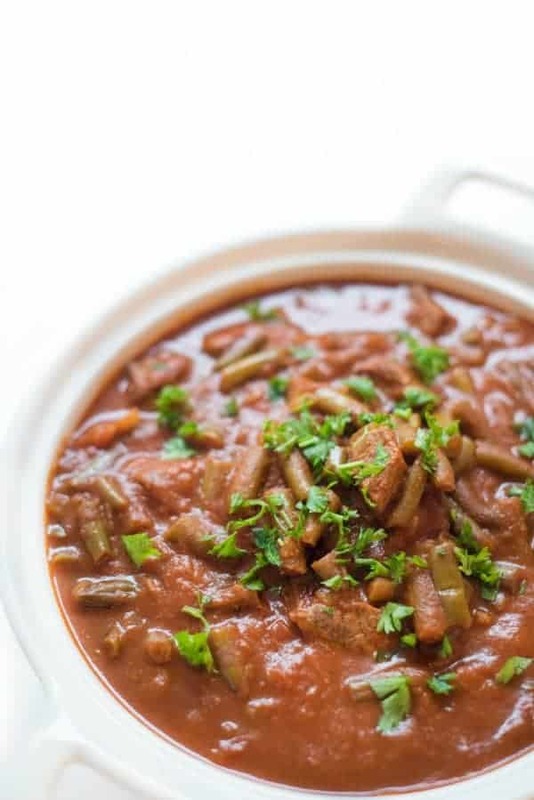 Hushwee is a simple, modest recipe made with ground meat, cinnamon and toasted pine nuts. It is the foundation of many classic Lebanese dishes such as Stuffed Eggplant or my husband’s favorite, Sfeehas (Lebanese Meat Pies). At Christmas, we love eating it on top of mashed potatoes with a drizzle of homemade gravy. It also tastes great served over hummus and eaten with pita bread. Pine Nut Toasting PSA: I have been toasting pine nuts since I was tall enough to reach the stove and let me tell you, they are very easy to burn! While I LOVE the way they taste when browned in clarified butter, it requires the type of constant attention that I can’t offer now that I have two little ones around me all the time. My solution? Bake pine nuts 350 degrees on a baking sheet for 5-7 minutes. Use your nose – the pine nuts are done the minute you smell that intoxicating, nutty flavor. The end result is a batch of evenly toasted, golden brown pine nuts. Your hummus will thank me. What family recipes always bring you back to special times in the kitchen? I’d love to hear from you. Hashwea (or hushwee) is simple, flavorful ground meat dish made with clarified butter, warm cinnamon and toasted pine nuts. In a deep pan, melt butter over medium high heat then add the minced onion. Sautee until translucent, 4-5 minutes. Add ground sirloin and all spices. Cook 8-10 minutes or until meat is browned, stirring occasionally with a wooden spoon to break up meat. 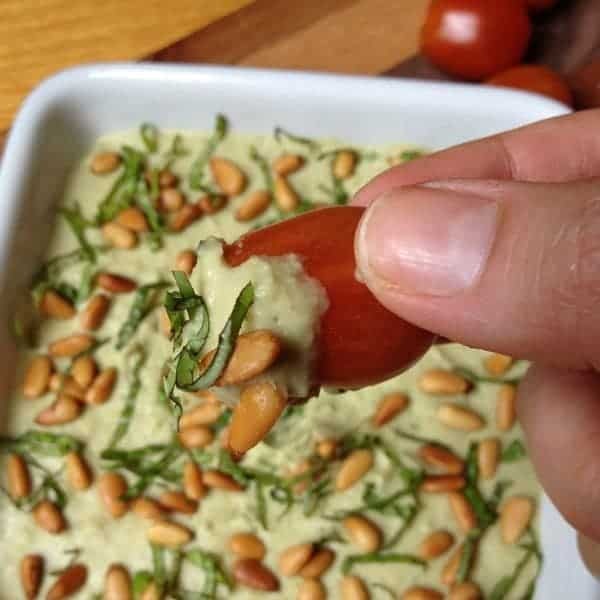 Stir in toasted pine nuts before serving and garnish with fresh minced parsley. To toast pine nuts simply spread in an even layer on a baking pan and bake at 350 degrees for 5-7 minutes or until golden brown. If you don't wish to make your own clarified butter (also known as "ghee"), you can find it online or in most health stores. For lasting freshness, store pine nuts in the freezer to keep them fresher, longer. This might sound crazy but can this be made without the nuts as my dialysis diet doesn’t allow nuts? Yes totally just leave them out!! I make the Hashwe with the 5 spices but I use much less salt in the spices. This is great in pita bread with a Lebanese salad. This recipe is a fave in my family, and my kids are very finicky. Thanks for sharing this. I’m so glad you enjoy it!!! We love it too. Hi Adam – I’m sorry you found this dish to be too salty. We have been making and eating this recipe for years so I want to help trouble shoot. Can you confirm you used 1 1/2 teaspoons of salt total for the dish? That should not be too salty for over a pound of meat, 1 whole onion, 1 tablespoon of clarified unsalted butter and 1/4 cup of unsalted pine nuts. Let me know – I’d love to help see where this went wrong for you! Thanks for your feedback! Liz, 1 1/4 teaspoon of salt is way too much. You must love a lot of salt. You really don’t need the salt with the other spices mixed. Hi Denise – I always do 1 teaspoon of salt per one pound of meat but you’re welcome to adjust to your personal taste! Enjoy! Could this be made with ground turkey? I can only eat poultry due to food allergies and really want to try this! Yes it absolutely could but it will be a bit on the drier side. Enjoy! Would adding some ghee help that? My husband made this for our family tonight. My grandmother was Lebanese and I have missed the food immensely since I had to pack up my Lebanese cookbook several months ago. So glad I found you today; there’s no telling how mediocre our meal would have been without your hushwee! Thank you very much! Oh I’m so thrilled you enjoyed it!!! Made it…Loved it. And, it’s so easy. It’s all about those spices. So glad you enjoyed it!! The spices are the best aren’t they? Lovely recipe, perfect for some of our spices, nutmeg and beef always go great together a little Chipotle Chilli Powder would add to the taste too! My mom was pretty much a plain Jane when it came to cooking but was a wonderful baker. My favorite cookie of hers was the Brown Christmas cookie. It is a cutout ginger/molasses cookie. It was “brown” and made at Christmas time….thus the name!! I think my mom got the recipe from these little holiday cookbooks that the Michigan Consolidated Gas Company published WAY back in the day (like the ’50s and ’60s). I was the “froster” and even when I had moved out of the house and had a “big girl” job, I took a day off of work in December to perform my frosting job!! I miss those days!! 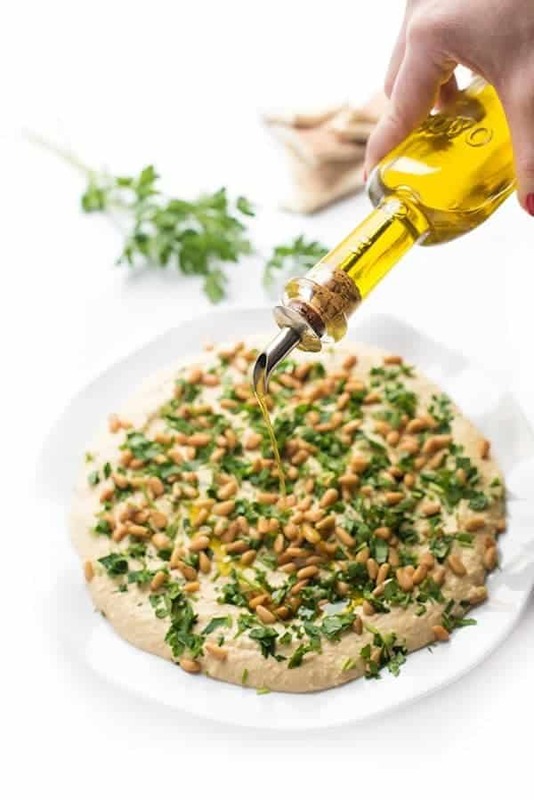 I am making your hushwee recipe tonight and am thankful for the Beirut Baking in Redford, MI for scooping out some ghee from their giant can in the kitchen and putting it in a little container for me :) Serving it on hummus with pita bread and fattoush salad!! Oh my goodness this makes me so happy!! I love the memory of baking with your mom and I love that you found ghee!! How did it turn out?! It turned out amazing and so easy to make! Everyone loved it! I posted it on Instagram if you are interesting (suebunton5)!! Reminds me of my Grandma’s cooking! 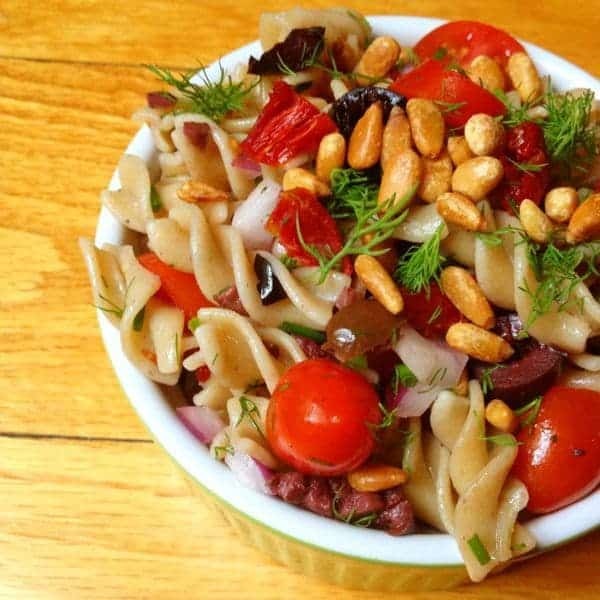 I just love this dish and toasted pine nuts make everything better in my book! Oh I’m so thrilled you approve of this one!! We’re getting one step closer to the ground meat and rice dish I’d get, along with some chicken shawarma and hummus, at the Lebanese butcher down the road from my son’s wheelchair basketball practice gym. It’s on the list of foods I crave since we moved to Ohio. I’ve got plenty of ground beef in the freezer (and leeks in the freezer too, wonder if they would sub for frozen onions) as well as a few more weekly trips to sled hockey (7 minutes away from the closest Costco, which is down in Cincinnati). This is on the list. Thanks! Let me know if you try the leeks!! I bet it would be good! Love love love the sound of this recipe! And you made it look so pretty! I also have a love for toasted pine nuts, so i’m definitely going to add this to the dinners-to-make list! For me, that meal is my mom’s mac and cheese…but I could totally see this being a CRAZY COMFORT FOOD. I love cinnamon in savory places. So, is this the same recipe your Aunt uses? I am so curious as to what she does different and why they come out different? It looks pretty amazing to me Liz! Try chopping your onions first and soaking them in cold water until you need them. That might reproduce the mildness of frozen onions without any extra work. And none of us want any extra work. Thanks for the pine nuts tip. I needed that. Oh yes, I love hushwee! I’m drooling now just thinking of it with hummus. Pass the pita. I have got to serve it over hummus soon!! I want that right now! I’ve been craving this since you originally told me about it. Looks so delicious! Ps…I’m the queen of burnt pine nuts. You know I am madly in love with this dish. And I never ever use pine nuts! I don’t know why..they’re v=pretty amazing. I completely get it!! It’s my favorite food ever!! This looks delicious Liz! Definitely going to try it with lamb one of these days. Lamb is the best!!! Definitely a little fattier but so so good. I absolutely love the cinnamon in this dish! It reminds me of so many of my moms Greek dishes. Oh my goodness I adore Greek food for that reason!! Do you have many Greek recipes on your site?? Only a few adaptations of my mom’s Greek cooking. As with many good dishes, they take so long to prepare! I wish we were neighbors so I could benefit from your amazing Lebanese cuisine! I wish you were too – I need more taste testers!! This looks wonderful Liz, how original! I would love to give this a try! Toasted pine nuts are looovveellly! Thanks for the recipe :) Excited to try it! You would love this protein-packed dish!! Great for running!! Oh I love that curry too!!! I’m so glad you guys like it!! !